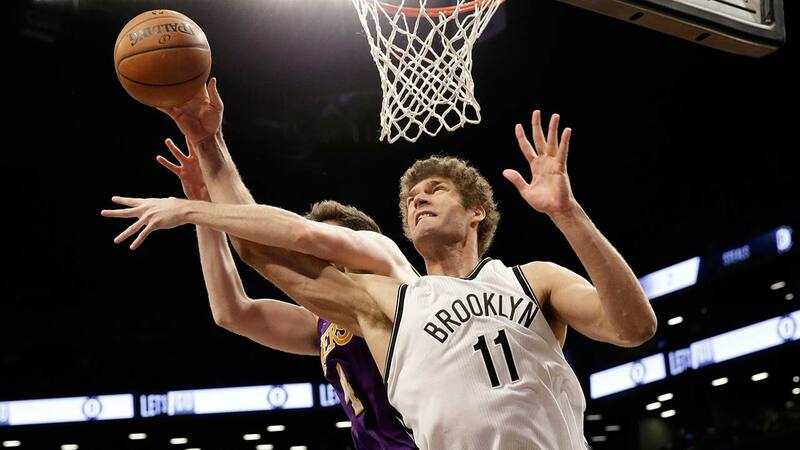 LOS ANGELES -- Three people with knowledge of the deal say the Los Angeles Lakers have agreed to trade point guard D'Angelo Russell and high-priced center Timofey Mozgov to the Brooklyn Nets for big man Brook Lopez and the 27th overall pick in the upcoming draft. The people spoke to The Associated Press on condition of anonymity because the trade hadn't been consummated Tuesday. The Lakers' new front office led by Magic Johnson has boldly decided to give up on Russell, the No. 2 pick in the 2015 draft, after just two seasons. He averaged 15.6 points and 4.8 assists last year. The Lakers likely are making the deal to clear the salary cap space eaten up by the four-year, $64 million contract given to Mozgov last summer by the previous front office.